Regular Drawing Classes for the little ones, from 4 year olds to teenagers. 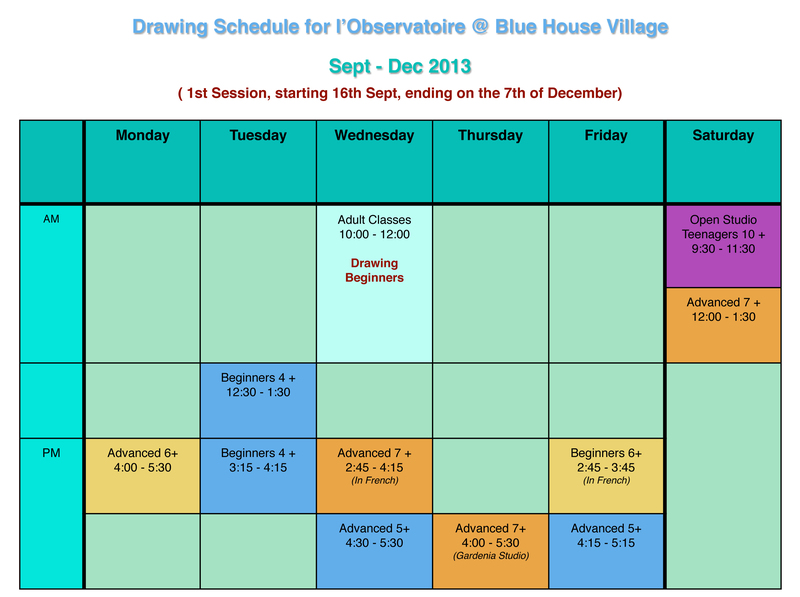 The new schedule for September – November 2013 is out. Observational drawing is an essential tool for understanding the world around us. While we often think we are “looking”, we will miss many things unless we draw them. School teaches reading and writing as communication tools – drawing is a complement and everyone can learn it. I have been teaching drawing (mostly to children) for over 10 years, and using it in my own contemporary artistic practice. 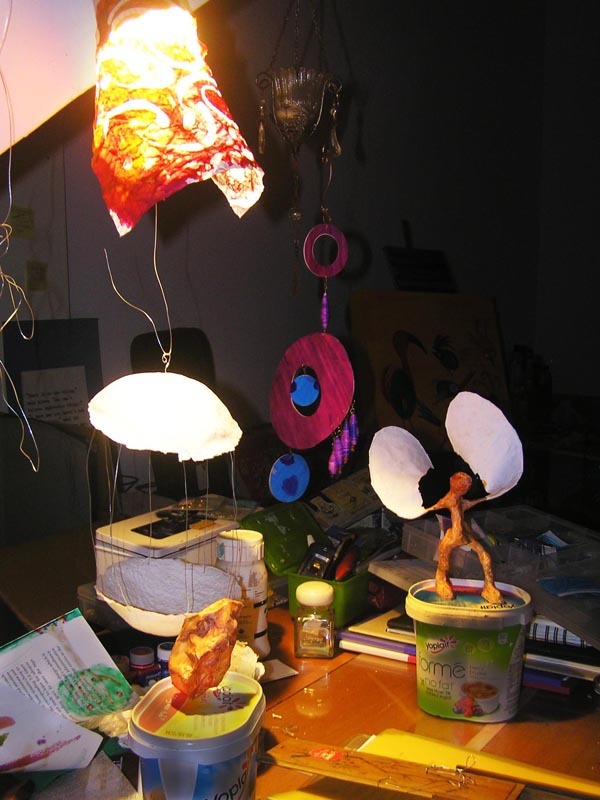 You will find documentation of years of teaching drawing and crafts on my twin website: Isadora’s Workshop. Check out especially the blog, which attempts to document the drawing classes. All classes are currently taught by myself, Isabelle Desjeux. Students might be assigned to a group different from the designated age group as they are being placed according to ability and interest rather than age or whether “beginner” or not. A trial lesson insures the student is placed in a group that fits, and agrees with the style of teaching. Please call to arrange a trial lesson. Classes are reviewed every 5 weeks, and timing/placement can be reviewed then, in agreement with the students and parents. Make-up classes: make-up classes can be aranged during an equivalent class at another time; alternatively, an 11th class will be provided, free of charge, at the end of the 10 classes as a make-up class. For more information and to pre-register, call Isabelle at 9273 4991.